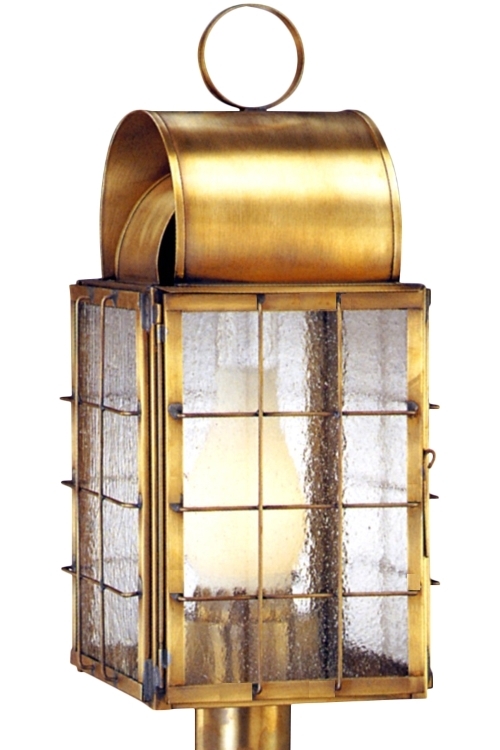 The Newport Harbor Post Mount Copper Lantern, shown here in our classic copper Antique Brass finish with Seeded glass, is a classic nautical style copper lantern perfect for waterfront homes and damp locations such as a pier or dock. 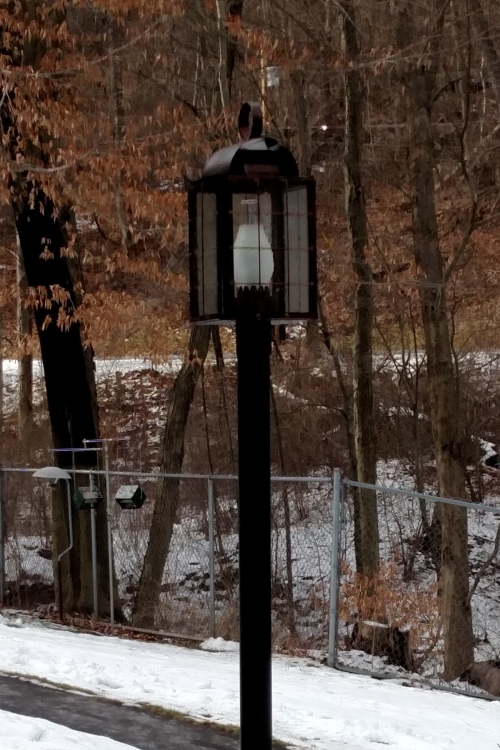 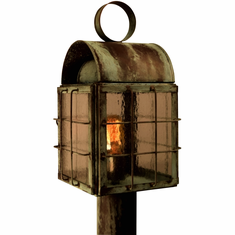 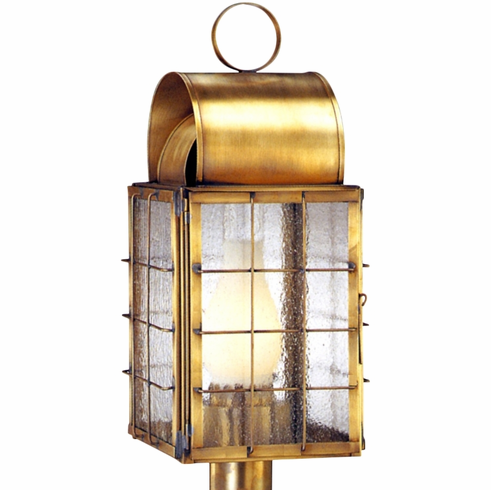 Made by hand in America from high-quality copper or brass the Newport Harbor Post Mount Copper Lantern will never rust or corrode and includes our lifetime warranty. 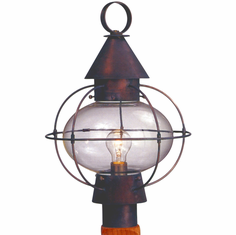 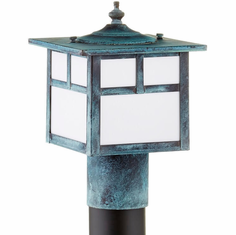 Also available as a post mount copper lantern, the Newport Harbor Nautical Copper Lantern Collection includes your choice of eight all-natural hand-applied finishes and four unique styles of glass at no extra cost. 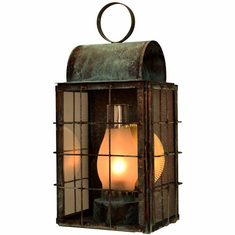 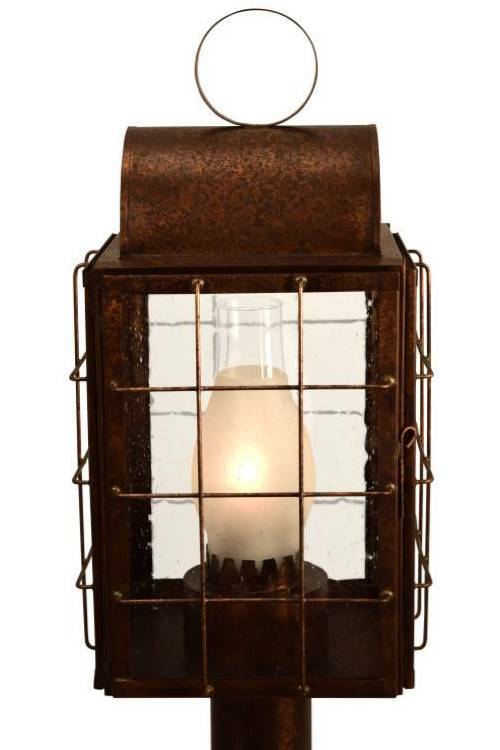 Combined with our lifetime warranty and free shipping on all orders to the continental US, the Newport Harbor Nautical Copper Lantern Collection is a tremendous value.